The initiative aims to address the adult literacy problem in New York. One in five adults in New York struggle to read. To bring this issue to life, a dozen top-selling authors have redesigned their book covers to make them unreadable. "Millions love books and reading – but will never have imagined a world in which they can’t read their favorite book. By scrambling the covers of the books they love, they get a glimpse of the world through the eyes of someone who struggles to read," said Agnes Fischer, president of The&Partnership New York, which partnered with NYC non-profit Literacy Partners on the effort. 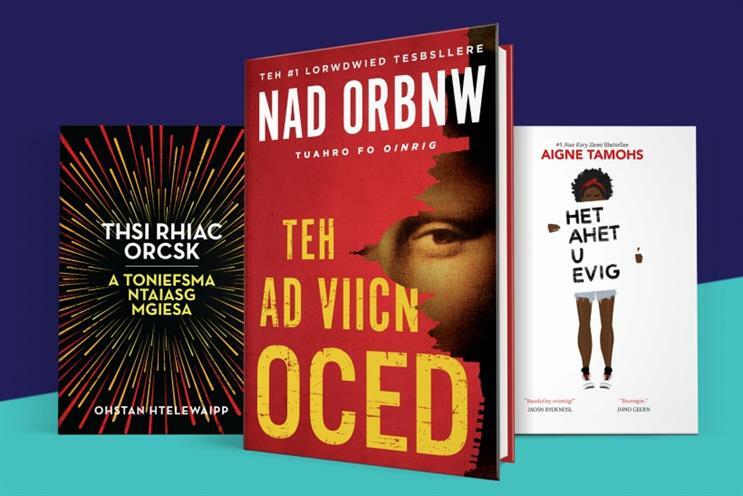 Some of the redesigned - jumbled up - dust jackets include Dan Brown’s "The Da Vinci Code," Angie Thomas’ "The Hate U Give," and Ingrid Roja Contreras’ "Fruit of The Drunken Tree." All of the "unreadable books" will be on display from March 15th through March 18 at booksellers McNally Jackson in Brooklyn and Mysterious Books in Manhattan. Each book has a bespoke barcode that people can scan to donate to the cause, or they can text "literacy" to 44-321. "Our goal is to raise awareness of the issue of adult illiteracy: to get people involved at whatever level they can -- $10, $20, or whatever they can muster," said Fischer. "For us, a wide response to this call to action is more important than hitting a specific dollar target in terms of fundraising." She added that the agency will measure success based on how much interest and support increases for Literacy Partners during and after the campaign. "In terms of marketing success, we’ll be measuring PR pickup and social buzz during the activation, monitoring increased level of chatter during the Unreadable Books campaign. We want to make the issue of illiteracy as well-known as that of some of New York’s other social issues," said Fischer.